Discussion: What are you reading? Another popular topic in the old forums was about the printed word, specifically what are you reading? So it’s another discussion thread that is coming back. Once again, I’ll kick things off. I’m currently reading, albeit very slowly, Here Comes The Nice by Jeremy Reed, which isa a strange mod / time travel ‘ sci-fi kinda thing. I’ll be honest, the reason it’s going so slow is that it’s not really taking a hold of me as yet. I usually skip through a really good book in days. But I’m persevering. You can find out about the book here. On a non-mod tip, I’m also reading The Man Who Sold The World: David Bowie And The 1970s, which is pretty self-explanatory, looking at the characters Bowie created for himself in a 10-year period. Full write-up here. Finally, just started re-reading The Sixties Art Scene in London by David Mellor, which is out of print these days, but can still be found. That’s ahead of a review for the site. Oh yes, also reading the latest Shindig! magazine. Yeah, little things keep annoying me about it – as does the constant cross referencing with his previous book. I’ll keep gping with it though, read much much worse. Simon Reynolds, “RETROMANIA – Pop Culture’s Addiction To It’s Own Past”, faber&faber, 2011. The short chapters on Northern Soul and MOD in the 80ies aren’t that interesting – but the general question(s) discusse by Reynolds definitely are. A few on the go at the moment. Notes Of A Dirty Old Man by Charles Bukowski, Devils by Fyodor Dostoevsky and Flashman and The Angel of the Lord by George MacDonald Fraser. Just ordered a copy of Baron’s Court, All Change by Terry Taylor which I saw mentioned on the website the other day. I actually forgot about Barons Court until last week, realised it came out back end of last year – but not for the Kindle, which is a bit annoying when you’re trying to cut back buying ‘stuff’. Might have to pick up the paperback though, one of those books I hunted the junk shops for over many years. I’m currently reading The Pan Book of Horror Volume 7, the new Jocks and Nerds magazine, The Newmarket Journal and Johnny Trunks – Sainsburys Own Label Design. Very slowly. I’m doubtful the world needs another book about The Doors but I’ve started The Doors: A Lifetime of Listening To Five Mean Years by Greil Marcus. Tell you what I read recenty, Monkey, The Canal by Lee Rourke which you reviewed a while back on your blog. Enjoyed that one. Currently reading The Story of Northern Soul by David Nowell, and The Burglar Who Studied Spinoza by Lawrence Block. Working my way through Never had it so good by Dominic Sandbrook really good read. Just re-reading Andrew Loog Oldham’s “Stoned” before getting the second volume. Some great stuff in there about the early days of not-quite-so-swinging-London! John Peel the Dj the man who Championed the bands and gave the small man a voice. I’ve got a few things going right now, including a friend’s book, but of interest right now would be Dave Gibbons’ The Originals, kind of a retro-futurist take on the 1960s scene. Im reading Brian Wilsons autobiography. Wouldnt it be nice. A really frank book that explores this genius songwriters life. Also im reading S Hunter Davies collection of work a true beat writer whose prose is edgy and so rich in feeling excitement and detail. Just finished the Modesty Balise novel, which is absolutely brilliant; Bond without the sexism. Just started on Frank’s Wild Years by Nick Triplow; British gangland thriller very much in the style of Ted Lewis (of Get Carter fame). I meant Modesty Blaise, of course. Keeping the flame on my too read list chazza find. Just reading Barry Miles’ excellent ‘London Calling – A Countercultural History of London since 1945’. Partly for research for the Ted Lewis biography I’m working on, but for a chunky history book, it’s a great read. Soho in the 50s must have been one amazing time/place to be. 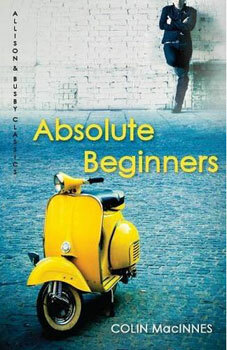 Might have to dig out ‘Absolute Beginners’ for its annual summer reading. The Sound of the City – Charlie Gillett just about to start this one. Almost finished ‘Dear Boy’ Keith Moon autobiography, which is excellent. Have got ‘It’s All Too Beautiful’ a Marriot biog to go at next. Also have Simon Reynolds’ ‘Retromania’ in the queue…and have read the aforementioned ‘Graduate’ book which is excellent. 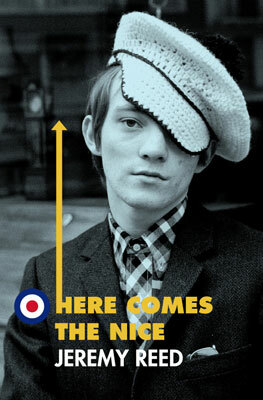 PS, Pre-Ordered the forthcoming Mod book by Mod book by Weight…now put back til April 2013!? Just finished James Millar’s book, Mods, Scooters and Soul: A Second-Generation Memoir, 1978-85, which I really enjoyed. This is another one to be published recently via Amazon Kindle. It’s not long, but that’s reflected in the price of just £1-50.